Qatar Chamber’s new Board of Directors has named Sheikh Khalifa bin Jassem bin Mohamed al-Thani as its chairman. Mohamed bin Ahmed bin Twar was named first vice-chairman and Rashid al-Athba as second vice-chairman. The sixth council of the Chamber (2018 -2022) was announced on the sidelines of the second meeting of Qatar Chamber general assembly, which was held in the presence of its board members, the director-general, number of businessmen and members. The election supervising committee chaired by Helal Mohamed al-Kholaifi announced the winners after the general assembly meeting. As many as 17 members were elected by the members of the Qatar Chamber out of 19 candidates representing trade, contracting, industry, agriculture, banking, investment, tourism and insurance sectors. In the contracting sector, four candidates were declared winners — Mohamed Ahmed Mohamed Ali al-Obaidli, Nasser Sulaiman Haider al-Haider, Mohamed Sultan Mohamed al-Jaber and Adel Abdul Rahman al-Mannai . All candidates of banking, insurance, agriculture, services and contracting sectors won by acclamation. They are Ali Abdul Latif al Misnad (services sector), Sheikh Hamad bin Ahmed bin Abdulla al Thani (tourism), Mohamed Ahmed Khalifa al Twar al Kuwari (agriculture), Sheikh Khalifa bin Jassim bin Mohamed al Thani (insurance) and Rashid Nasser al-Kaabi (banking). Voting took place in trade and industry sectors. Five of the six candidates got elected in the trade sector. Winners are; Mohamed Mahdi Ajayan al-Ahbabi, Rashid Hamad Hazza al-Athba, Khaled Khlefeekh al-Hajri, Mohamed Gohar al-Mohamed and Abdulrahman Abdul Jaleel Abdul Ghani. Addressing the gathering, Sheikh Khalifa said the country is in a better position than it was before the start of the siege, noting that all these conspiracies failed to affect Qatar’s economy as Qatari businessmen and companies are enjoying outstanding relations with suppliers from around the world. Sheikh Khalifa said Qatar Chamber continued to promote national products, conduct economic studies and questionnaires as well as strengthen business relationship among Qatari businessmen and their counterparts all over the world. The board chairman noted that the issuance of Law No 23 of 2017 amending some provisions of Law No 11 of 1990 on the establishment of Qatar Chamber emphasises the wise leadership’s keenness on empowering the role of Qatar Chamber in the economic process and promoting private sector as a key partner in development. The QC chairman said the chamber has been stressing on finding alternative sources to import commodities since day one of the siege.”The chamber has also coordinated with various government agencies and formed specialised committees to overcome the obstacles in ensuring the continuous flow of goods from abroad without interruption,” he added. Sheikh Khalifa said the chamber has motivated businessmen to enter into new sectors and industries by organising the “Made in Qatar” exhibition as well as through business visits to Arab and foreign countries. 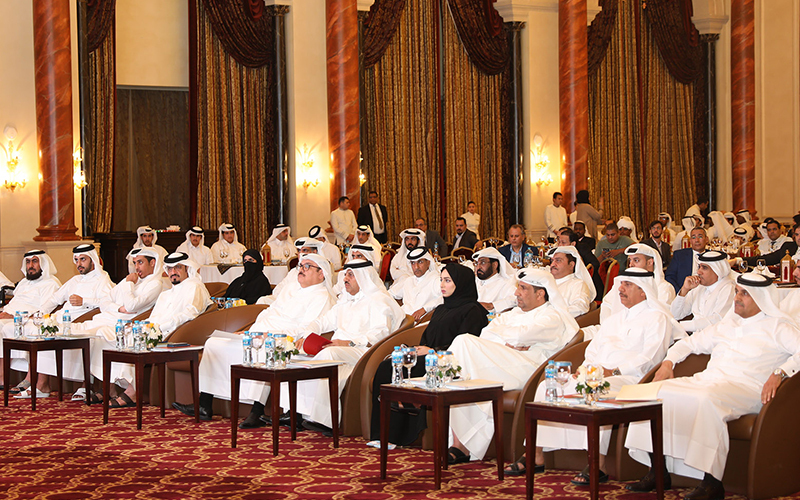 The chamber also received a number of Arab and foreign business delegations willing to enter into the Qatari market. Sheikh Khalifa said the efforts being made by Qatar to localise more industries and encourage investment in small and medium industries, whether through local investors or by attracting foreign investment, will play a major role in boosting local production of various commodities and in reducing imports.